SMD Capacitor – Surface Mount Chip Capacitor Guide. SMD Capacitor is made of an insulator between two conductors. There are several types of SMD capacitors. Learn More here. What is SMD Capacitor and How is it Made? SMD Capacitor or Surface Mount Chip Capacitor is an electronic component made up of an insulator between two conductors. This dielectric matter or insulator plays an important role of storing electric charge. There are several types of SMD capacitors. They are divided according to the dielectric matters used in their composition. 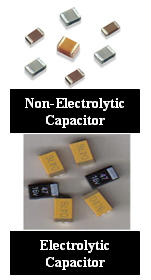 Air, paper, mica and electrolyte capacitors are mostly used. What is the work of SMD Capacitor? The main function of any SMD capacitor is to store the electrical energy and re-supply i.e. charge and discharge electrical energy. How is SMD Capacitor Made? 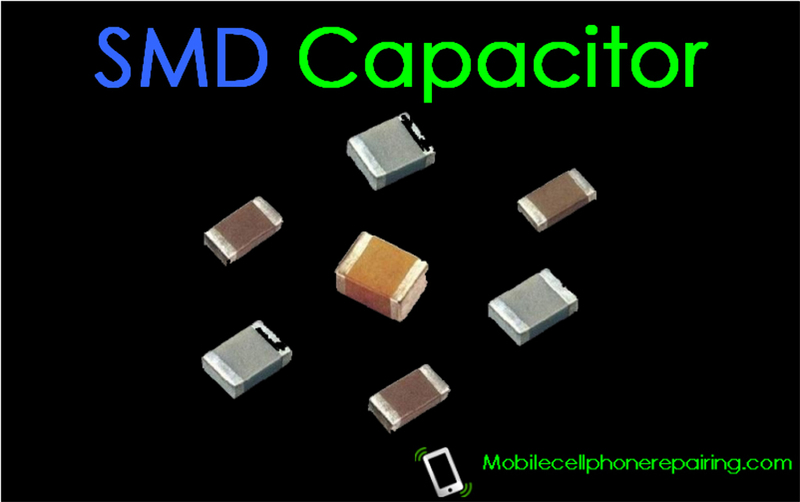 SMD capacitor is made up of metallic plates (good conductor of electricity). Both plates are separated using a bad conductor or dielectric. The name of a capacitor is dependent on the dielectric matter used in the capacitor. If the electrolytic capacitor is yellow then its border are brown. If the capacitor is black then its border is silver. What is the Graphical Symbol of Capacitor? Which character or alphabet indicates a capacitor? The main function of a capacitor is to pass AC and stop DC. What is the Unit of Capacitor? The Unit of Capacitor is fared. It is a type of capacitor in which ceramic is used as dielectric matter. These capacitors are rated according to the ceramic electrical properties. The electrical property of ceramic is multi dimensional. Use of ceramic significantly reduces the size of SMD capacitor compared to other types of capacitors. Various ceramic dioxides are used in ceramic capacitors like barium titenate, barium strontium and titanium dioxide etc. Desired temperature coefficient is obtained by using various ceramic dielectric products. Di insulation is prepared by using multi layers of dielectric matters between two good conductors. This reduces the chance of its getting out or order. Its electrodes are generally plated with silver. This provides a high quality soldering property to the capacitor. How to Check Electrolytic Capacitor? If the value of the capacitor to be checked is 10 mF, then select 20 mF on the Multimeter. Connect the lead to the CX socket and place the probes on both sides of the soldering tips of the capacitor. If the display of the screen shows 10 then it means the capacitor is OK. If the screen shows 000 then it means the capacitor is open. If the screed displays 1 then the capacitor is short. The capacitor is considered OK if the value is within its tolerance level. Please note that the above process is not applicable if the value of the capacitor to be checked is more than 20 mF. Knob of the selector switch should be selected according to the value of the capacitor. How to Check Electrolytic Capacitor of Value higher than 20 mF? Turn the selector know of the Multimeter on the symbol of Diode. Insert the probes turn by turn on Com and V / W / F Pins and keep checking the capacitor. If the reading increases and settles at 1 then it means the capacitor is OK. If the reading in both the cases remains 1 or the reading stops while ascending, it means the capacitor is out of order. How to Check Simple Capacitor Using Multimeter? If the reading on the Multimeter shows 000 after testing accompanied with a beep sound, it means the capacitor is short. If the reading shows 1, it means the capacitor might be open or even OK. Please send me the course content. Hi: We do not provide and repairing course. Please download my Mobile Phone Repairing Book in PDF Format. It is present on this site.